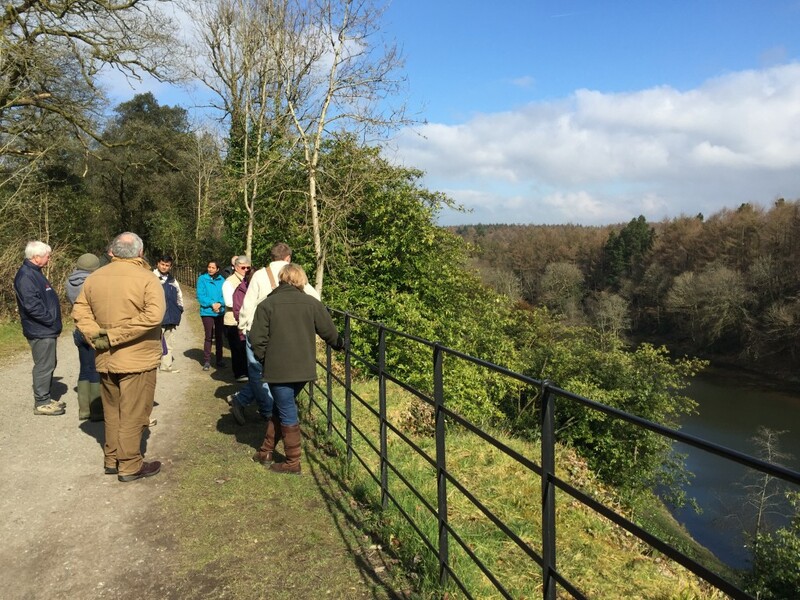 Penllergare Valley Woods wasn’t even on our radar before the invitation from our local Tourism Team dropped into our inbox. An undiscovered oasis of peace, packed with history, fascinating bird and plant life, and oodles of tranquil trails to explore – all just 30 minutes from our front door? Did we mention the lakes and waterfalls, panoramic vistas, hidden corners that are perfect for romantic picnics, plus a wealth of botanical riches. In the spirit of true pioneers, we set off to unravel its secrets. Rounding the northern edge of the Gower, where the M4 trundles north into Carmarthenshire, Penllergare Valley Woods are tucked away just meters from the main arterial routes. Despite the easy access, driving into the car park you immediately lose the traffic and enter the gentile world of this Victorian paradise. Originally designed and created by John Dillwyn Llewelyn (1810-1882), this extensive landscape garden is truly a forgotten gem which lay quietly slumbering under overgrown trees and unruly shrubs for over 100 years. But Penllergare is now being gently woken by a team of dedicated volunteers and local experts. As we sipped our homely mugs of coffee, what hit us first was the tremendous sense of community about this place. Penllergare Valley Woods is more than just a beauty spot. 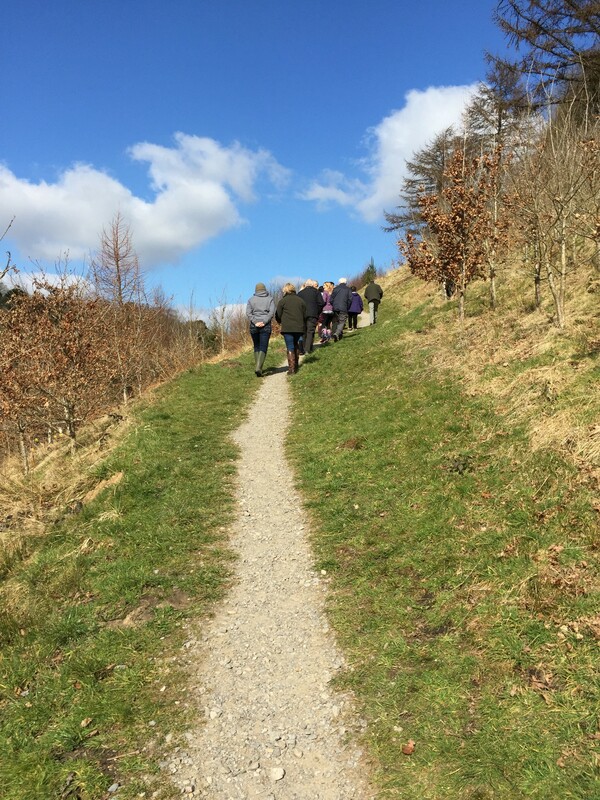 Lovingly restored by local volunteers, this community woodland is now nourished by enthusiasts who recognise the incredible history, heritage and beauty of the place. 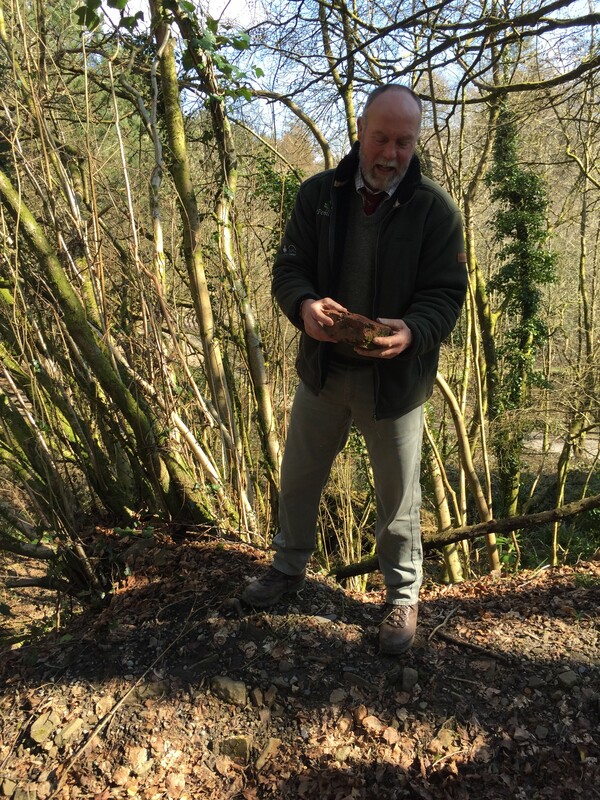 We were shown around by members of the Penllergare Trust – established in 2000 to protect and restore Penllergare Valley Woods – and their genuine passion for the place is infectious. At the entrance (which is free, although donations are warmly welcomed) a community-run cafe is a great place to meet members of the team, stock up on caffeine and enjoy the homemade cakes. It’s also the place to pick up maps and advice about exploring the network of tranquil trails that criss-cross this hidden valley. Dog walkers abound here – it’s the perfect place to explore with a four-legged friend. In our whistle-stop tour of an hour – we could have easily stayed much longer – we discovered the grand Carriage Drive with its spectacular views out over the valley and Upper Lake below; the restoration of walls in the Terraced Gardens; the Waterfall and Llewelyn Bridge. There is plenty here to keep you busy all day – the excellent website run by the Penllergare Trust is packed with background information about the project. Don’t miss their recommendations for the top 10 things to see and do, featured below. In the 19th century the steps through the Terrace Gardens would have been the main route from the Big House to the Upper Lake. In 2000 the area was overgrown with rhododendron and cherry laurel. The Penllergare Valley Woods volunteers have been clearing the undergrowth, recreating historic paths and opening up historic views. 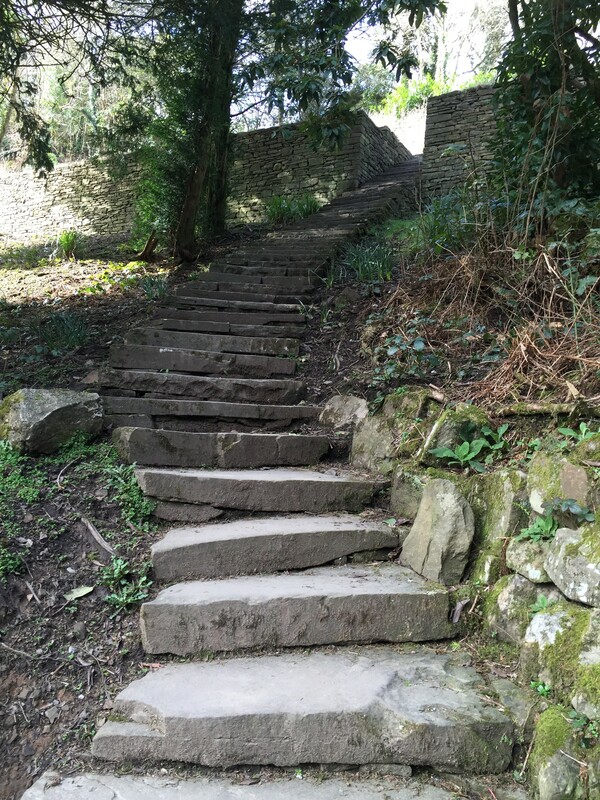 A stonemason and his team has also been repairing and restoring the terrace walls and steps. Work on the old rockwork garden will be next. Look out for the bluebells in May and rhododendrons in June and spot the exotic trees and shrubs all year long. In 2013/14 Penllergare Valley Woods’ Upper Lake was dredged to return it to its historic shape and to stop it reverting to marshland. The eastern edge is a wildlife conservation area. The west side is a lakeside promenade. A rustic summer-house and boat jetty called ‘the Shanty’ was situated at the northern end of the lake in the 19th century. This is a great area for spotting kingfishers. Built by John Dillwyn Llewelyn in 1851/52 and situated towards the side of (the now demolished) Penllergare House, the Observatory is one of the few remaining 19th century structures. It is a monument to the estate’s illustrious past and today is registered as a Scheduled Ancient Monument by Cadw. The family were passionate amateur scientists (particularly in photography, astronomy and botany) and it was here c.1856 that John and his eldest daughter Thereza, took one of the first photographs of the moon. The observatory is currently being restored and will be completed and opened for public access in 2015. Walk the mile and a half Carriage Drive from where the old mansion used to be in the north to Cadle Mill – the original entrance to the estate. It was constructed in 1833 at about the time the newly-weds John and Emma Dillwyn Llewelyn set up home at the ‘Big House’. See if you can spot the boreholes in the rock face where estate-workers used gunpowder to blast away the sandstone to create a platform out of the hillside. As you walk you will pass over Quarry Bridge. From this large hole in the hillside came much of the building stone for the estate. Further south look out for the remains of two old lodge houses about a quarter of a mile apart. 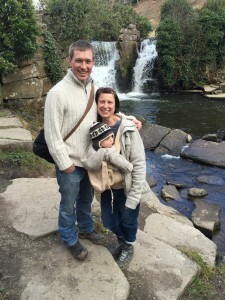 The Waterfall, that is now the most iconic feature in Valley Woods, was repaired in 2014. A hydro-turbine was installed nearby on the east side of the river, to generate electricity. In the autumn you may be lucky to see the salmon attempting to jump the falls as they make their way upstream to spawn. The original stone-built bridge was possibly the first crossing point over the River Llan. It was much photographed by John Dillwyn Llewelyn and paintings were made of it by several members of the family. Gradually it fell into disrepair before being demolished in the 1950s. Now newly rebuilt in traditional materials it was named the Llewelyn Bridge after the family who, over three generations, were instrumental in creating much of the landscape that can be seen today. Managed by the Forestry Commission for part of the 20th century, today the east bank provides stunning views across the valley as well as woodland trails, rustic bridges and steps through mysterious and hidden places – all recreated and maintained by volunteers and managed by the Penllergare Trust. Take a rest on one of the home-made benches and take in gorgeous picturesque views of the upper lake, waterfall, river Llan, exotic trees and shrubs and terraces below. Bluebell Wood is an essential visit in the Spring too! Starting in 1838, John Dillwyn Llewelyn created two lakes and two waterfalls in the valley as part of his grand design. Boating was a popular activity for the family on Lower Lake and the boathouse a favourite picnic location. The footings of the boathouse and the remains of the old dam are still visible – we would love to restore this area in the future. More recently, both otter and watervole have been spotted here proving the importance of Penllergare as a green corridor for wildlife. From the late medieval period Nyddfwch was a separate estate. It was absorbed into Penllergare in 1756 on the marriage of Jane Mathews of Nyddfwch to Griffith Price of Penllergare; then it fell into disrepair and later abandoned. The site of the now demolished house lies at the edge of a steep east-facing slope. From the viewpoint here you can see wonderful views across the valley. This area was set alight many times in the 20th century during periods of neglect and vandalism – the standing dead trees are a reminder of this. 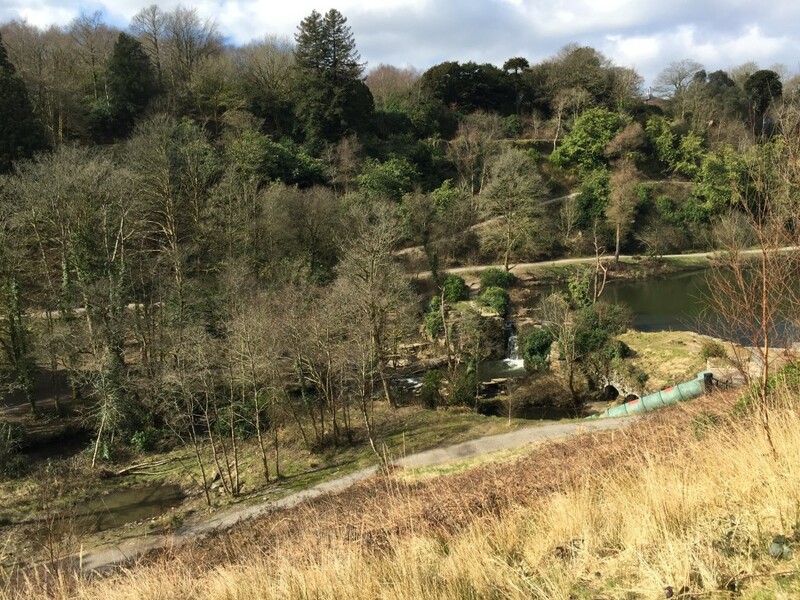 Go on an exploration along the winding River Llan – the natural thread of the designed picturesque landscape of Penllergare Valley Woods. Have an adventure as you trail through bamboo and rhododendron, cross bridges, balance on stepping stones and climb trees while looking for signs of the past. Its 2km twisting course – which loses itself twice in the Upper and Lower Lakes – has been much photographed, visited and fished in the past 150 years. Directions – Penllergare Valley Woods lies less then 5 minutes from Junction 47 M4 and is signposted from the roundabout and A48. Coffee Shop and Toilets – a community-run coffee shop and toilets are open 7 days per week from 10am – 4pm everyday (including weekends). Cost – these wild and magical woods are free to visit and are open 24/7 for you to share in the experience and enjoy. 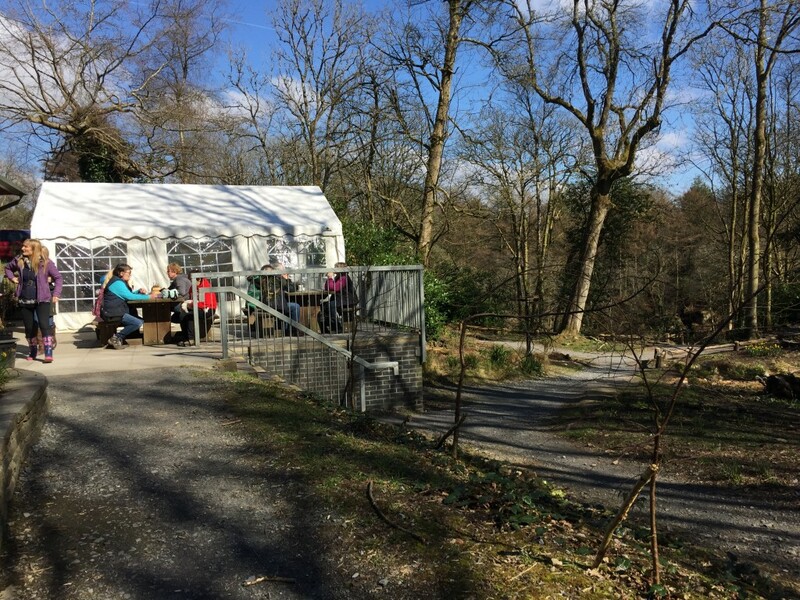 Volunteers work hard to find alternative means of generating income to keep Penllergare Valley Woods free and open for everyone. Therefore, donations are welcomed – and if you loved your visit and want to support the project, you can join the Friends of Penllergare membership scheme from £15 per year.